Transmission Overhaul Kit, AX15 Manual Transmission. 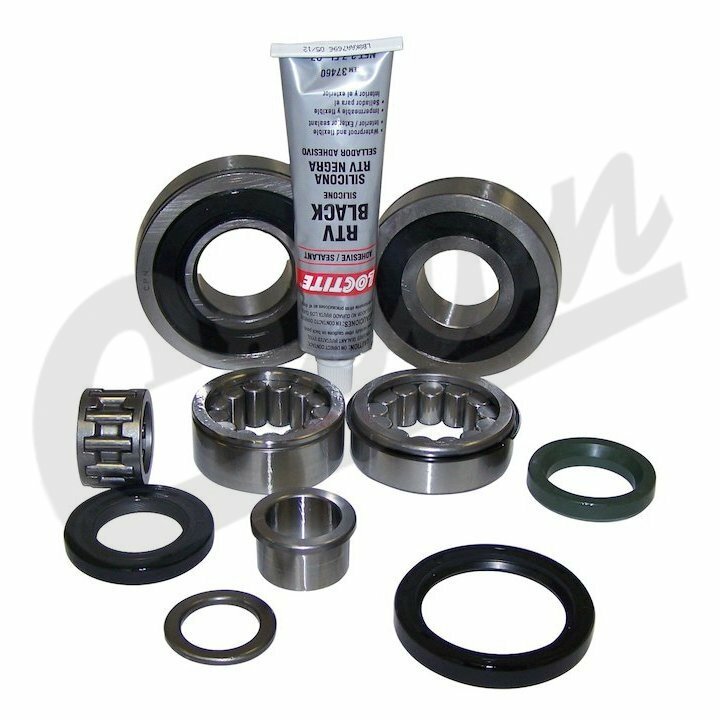 Kit Includes: All Bearings, Seals, and Sealant. Jeep Wrangler (TJ) (1997-1999) w/ AX15 Transmission. Jeep Cherokee (XJ) (1988-1999) w/ AX15 Transmission. Jeep Comanche (MJ) (1988-1992) w/ AX15 Transmission. Jeep Grand Cherokee (ZJ) (1993) w/ AX15 Transmission. Bearing & Seal Kit; Includes Bearings, Seals and Sealant.